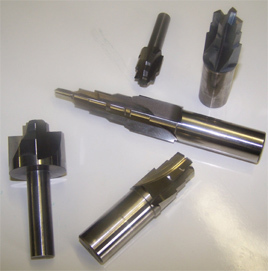 You can rely on Dew Tool to supply all of your carbide cutting tool needs. From new to reconditioned, Dew Tool can create or enhance your carbide drills, end mills, form tools, custom specials, special carbide inserts or any other carbide cutting tool you need. We pride ourselves on giving you a surgically sharp, longer lasting edge that will result in less down time and fewer tool changes. Our technology allows us to duplicate or enhance OEM specifications, using superior conical and radial relief. Put us to the test and see for yourself! 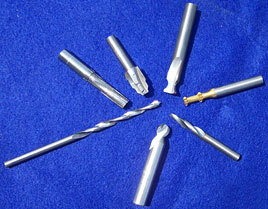 Dew Tool can also suggest and supply the best carbide grades for your application. Let us bring our experience and know-how to your machining process. Take advantage of our 30 plus years of experience. We would like to be part of your team. Contact us today for more information on our carbide end mills, special inserts, carbide tipped tools, and other carbide cutting tools.